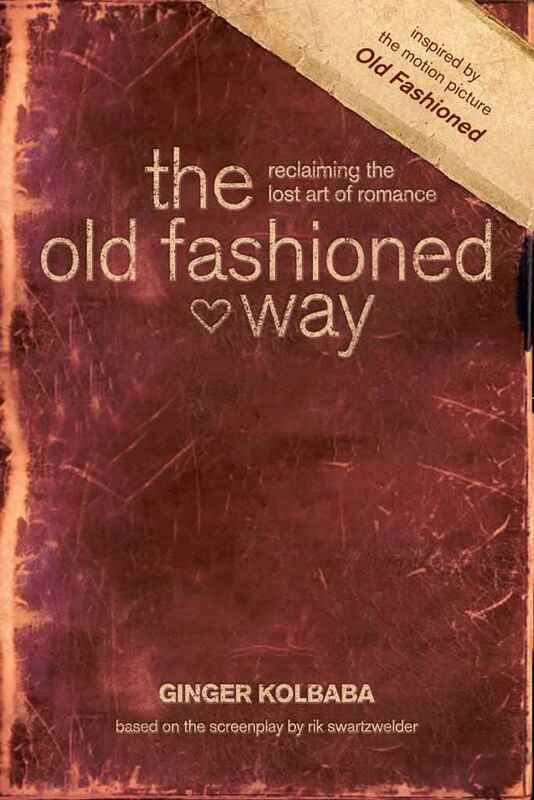 Recently, I had the opportunity to review a book titled, “The Old Fashioned Way: Reclaiming the Lost Art of Romance” by Ginger Kolbaba. On Amazon, the book is described as follows. This book has been a very enlightening read. I have never sen the movie, but the book gives beautiful insight into how romance should be. The modern ideas of what is romantic and what an enduring romantic love should be is often far from what the Lord intended for us to experience. Through this 40-day devotional, you are introduced again to what romance should be. In reading it, I find that if more people were to apply this knowledge in their relationships, we would have a far lower divorce rate. I am sure that some would cringe at the thought of a woman being a helpmeet to her husband, but that is because modern society has turned it into an ugly prospect. Once you come to understand the true meaning of it, you can see how it can transform your marriage. It isn’t just the woman however. Men also have to play their part in this. This book would be a wonderful devotional to share with teenagers who are approaching the dating scene. As a Christian parent, I find that the teachings given are just as valuable to both young men and women as the knowledge was in earlier generations. It would seem that there are no longer boundaries in social media. With the ease of communication through blogs, Facebook and other websites, people get the sense of feeling that they know you. Let’s face it. According to Facebook, they are your friend. That gives the false idea that people know each other far better than what is truth. This brings about a common problem. People whom you have never met feel that they have certain rights. Most particularly, the right to tell you how they think you should be living your life. I am gobsmacked at the messages that I receive from time to time. People whom I have never met in person try to tell me their opinions of how I should do things differently. How ridiculous is that? A person who is a stranger for all intents and purposes telling you what you should be doing? Does this person know my heart? Do they know what our family life is like on a daily basis outside of what is posted on Facebook? What makes these people think that they know what is best for my family? Recently, a Facebook “friend” went through old pictures on Facebook and then attempted to chastise and call to repentance for photos that they felt were inappropriate. In particular, a picture in which I wore something they personally found too low cut in the neckline. How I dress is no one’s business. The only person who has a say in how I dress, besides myself, is my husband. If he likes what I wear, that is all that matters. Another chastised me for being snarky. So what? What I post is my own opinions and thoughts. If you don’t like it, ignore it or get off my friend’s list. As long as I am not breaking any of the rules that Facebook has in place, I can post what I choose. Both of the above situations are ones in which the ones chastising were Christians who are more conservative than Joe and I are. Yes, the Bible does state that Christians should be witness to each other when they see a Christian doing something that is against the faith. The problem however is that neither of these people personally know us. We are not members of their church, nor do we follow the degree of conservative observance that they do. In this situation, neither has the right to chastise. If we were members of their church congregation and they saw something we did as being against their beliefs, then they would have more right to say something. Even in that situation however, it should be done privately and not through social media. You also do not become hateful in your words and accuse the person you are chastising of being unGodly and a false Christian simply because they say/do something you personally do not agree with. Let me give you a glimpse into my life. Prior to meeting Joe, I had been burnt badly by so-called Christians who were absolutely hateful. They were hateful in action and words and did it in the name of their faith. They showed me a bad example of Christianity and I turned away from it. I was sick to death of their condescending, self-righteous, holier than thou, attitudes. I started following a more pagan belief. It made far more sense to me than what I had been shown by others. When I met Joe, I still wore a pentagram. Amazingly, it was the example that he set that got me to rethink my opinions of Christianity. Though I was baptized 7 years ago, I still feel the disgust at the self-righteous attitudes when I hear it. While the person may be thinking that they are doing the right thing, they are in fact making it harder for me to continue having good thoughts about being a part of the Christian faith. In honesty, I don’t like being part of a group that treats others with such hate and disdain. It is only because of my own husband’s example and those of the true friends that I have who are Christians that I don’t walk away sometimes. My personal faith and relationship with the Lord will always be there. It is something that is a part of me. I cannot separate myself from my faith. What I am opposed to however is being lumped in with a group that acts so hateful in the name of God, simply because I am a Christian. I am blessed in that I do have good Christians around me who are a constant living testimony to me of what Christianity is truly about. They give me the examples that I need as well as the gentle and loving guidance when necessary. They know me personally and therefore are able to do it in a way that is effective. That is the big difference. A stranger on social media doesn’t have that knowledge. Most often, what they may intend to be good comes off wrong and is more damaging than helpful. One thing that I try to keep in mind is that everyone is at a different place in their faith. There are many different denominations of Christianity as well as levels of conservatism within those denominations. No two congregations are exactly alike. Each denomination has it’s own teaching. Within each congregation, members often have varying degrees of belief in how their faith should be practiced in their lives. In example, some Christian denominations teach that women should only wear dresses of a specific length or style such as the cape dresses worn by the Mennonites. Other denominations have no problem with women wearing pants. I have been to congregations where women wear jeans & t-shirts to church right along side of women who dress in their “Sunday best” dresses. The Lord meets us where we are. I don’t think the way we dress really matters where our salvation is concerned. I believe that the way we dress is more of an issue towards other people. If a woman were to dress provocative in church, how easily can others pay attention to the teachings? But, what if that is the best that the woman has? Should she be banned from attending simply because she doesn’t meet a dress code? Most criticism that I get is always based upon legalism issues. Legalism is the rules and dictates that are set up by man, not the Lord. One good example of legalism happened in the Old Testament of the Bible. The Lord gave Moses the 10 Commandments. Evidently, the Israelite’s tribe of Levi who were the high priests of the Israelites thought those were not enough. The priests came up with over 700 more laws for the Israelites to follow. If the Lord wanted Israel to have all of those laws, He would have given Moses more than the 10 Commandments. Today, is not much different. Each denomination has it’s own set of rules and practices. I mention this simply to demonstrate one thing. When a Christian on social media chastises or tries to bring to repentance someone they only know on social media, they are doing it based upon their own beliefs. They do not take into account that the person they are chastising may not be following those same rules and practices. Thus, their criticism is not effective in a positive way. It comes off as something far different, such as the self-righteous attitude. We need to be very careful in this area of our lives. If you see someone living differently than you would expect, then you have options. Two of those being that you either accept that they are following their own faith or you stop reading their social media posts. Likewise, if you don’t like what someone posts on your wall or time line on Facebook, you can ignore them or unfriend them. Sometimes, the most loving thing that you can do towards others is to simply keep your mouth shut and your opinions to yourself.